Gearbox done did it! 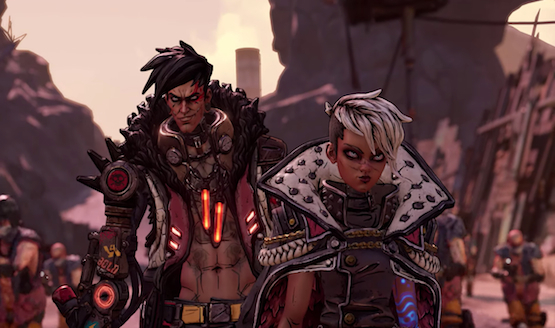 They finally announced Borderlands 3 for realsies. It’s not just a tech demo. It’s not just a rumor, or a tease, or a leak. I’ve talked before about my own (and Daily Reaction’s) history with the Borderlands series, so this one has been a long time coming. When we knew we’d probably be seeing it announced today, I tempered my expectations. 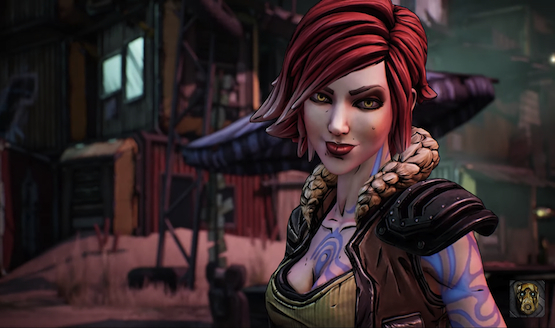 Could a new Borderlands fit into the modern gaming environment, or would it feel dated? At the time, it was easy to say it may feel like a decade old game. But now that I’ve seen it in action? Color me hyped. You can’t show me a trailer like that and expect me not to be. When Borderlands 2 released, it was a love letter to the fans of the first game. It was everything that players loved about the original, with plenty of callbacks to characters and events from the first game, while improving and adding. And it worked at the time. And obviously it’s continued to work since. Multiple re-releases of Borderlands 2 (and now even Borderlands GOTY on PS4) have proven the longevity and place for the franchise in today’s market. Watching that trailer immediately gives me the same vibe, only bigger, bolder, more badasser! EXPLOSION NOISE!!! There are plenty of returning characters, and while it looks like players will be taking on the role of four brand new vault hunters, fan favorites will make a return to support the story. And if history is anything to go by, they’ll probably kill at least one of them off. As much as Borderlands is a goofy and over the top game, it also has a lot of heart in the right places. And if they want to up the emotion, then the villains have to be even better, and more cunning, devious, and charming than Handsome Jack. Look carefully and you’ll also catch Rhys from Telltale’s Tales From the Borderlands! I’m happy to see the two cross over, even if he’s sporting a nasty new mustache in his supporting role. Of course Claptrap makes an appearance, but he’s not overly utilized in the trailer, which tells me that Gearbox has matured some from relying largely on his humor. He got rather aggravating as a character, particularly when he was included as playable within the Pre-Sequel. Finally, a major element I noticed was the focus on the word “worlds,” which calls to memory the previous rumors about a game named Borderworlds that would allow Vault Hunters to search out Vaults on multiple planets (as was hinted in the closing moments of Borderlands 2). Borderlands 3 might bear the number of the third entry, but it seems that the concept of Borderworlds is alive and well as we’ll be traveling beyond just Pandora. Fans are certainly busy dissecting the trailer frame by frame now for more evidence about the story, gameplay, characters, and environments, as well as the madly insane enemies we’ll fight, but we’re already set to get more information on April 3, less than a week from now. In fact, that’s the same day that Borderlands GOTY launches on PS4. What will be revealed? An actual gameplay demonstration? Detailing the four new Vault Hunters? A release date? Speaking of that last point, not only do I expect Borderlands 3 to be released this year, I expect it to be rather soon. I don’t think we’ll push out into October or November on this one. If anything, a September launch seems likely, with the optimist in me really hoping for August or earlier. There’s no real franchise pattern to fall back on in order to determine a release window, and with as long as this one’s taken, a summation from that wouldn’t be reliable anyway. They could be planning to launch it in June for all we know. All I know is that Gearbox managed to get me excited. A nearly four minute trailer is nothing to scoff at, and they came out swinging. Looter shooters are all the rage with games like Destiny 2, The Division 2, and Anthem eating up plenty of players’ time. Gearbox is about to add something else to their plates. To our plates. To my plate. 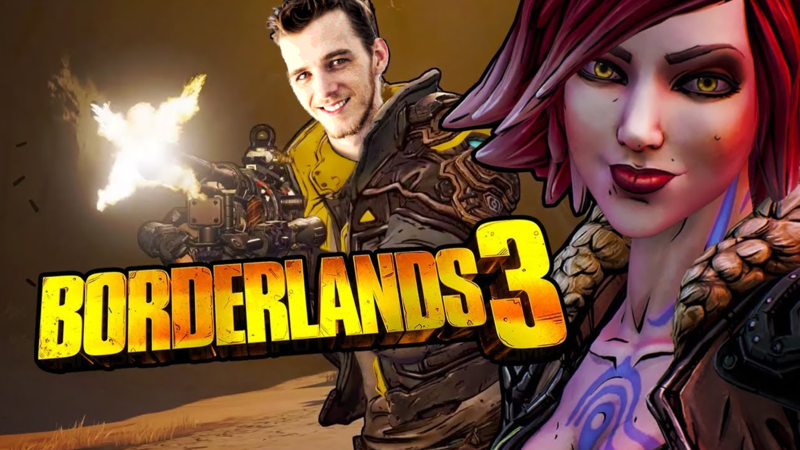 I’m optimistic after seeing the explosive official reveal of Borderlands 3. If you even have a passing interest, you should be too.